Thanks for asking for the verse addresses. I appreciate it. Hypocrisy is a sin. Jesus hates it. All of Matthew 23 is His screed against hypocrisy. The section is called "A Warning Against Hypocrites". Other verses describing the hate for hypocrites and the sin of hypocrisy are Isaiah 29:13, and in Matthew 7:15 where Jesus called them wolves and warned against them, and here, inspired by the Spirit (Who is God, who is Jesus) Paul calls them evil. Romans 12:9. In Matthew 7:3-5 Jesus addresses hypocrites again and warns against them. No. I MEANT "Jesus hates sinners." We are so overloaded with 'love' messages we forget that Jesus hates sin AND the people who perform it. The Bible is clear. Jesus hates sinners. Is that offensive to people? Sure. But sinners offend God. Psalm 5:5, "The boastful shall not stand before Thine eyes; Thou dost hate all who do iniquity,"
Psalm 11:5, "The Lord tests the righteous and the wicked, and the one who loves violence His soul hates." Lev. 20:23, "Moreover, you shall not follow the customs of the nation which I shall drive out before you, for they did all these things, and therefore I have abhorred them." Prov. 6:16-19, "There are six things which the Lord hates, yes, seven which are an abomination to Him: 17 Haughty eyes, a lying tongue, and hands that shed innocent blood, 18 A heart that devises wicked plans, feet that run rapidly to evil, 19 A false witness who utters lies, and one who spreads strife among brothers." Hosea 9:15, "All their evil is at Gilgal; indeed, I came to hate them there! Because of the wickedness of their deeds I will drive them out of My house! I will love them no more; All their princes are rebels." Who is a sinner? I think that in whatever definition you will give , you will be termed a ''sinner''. Do you think Jesus hate you? Also note that all the references you gave are in the Old Testatment! How much of the Love of God do you know? I mean how much of Jesus do you know? Don't feel offended by that question but I just desire to know. What, like the OT doesn't count? Oy. His disapproval and hatred of sin and the sinner who performs it is infinite. See: Hell; Wrath. If you are going to comment, then please refrain friom comments like "you're a doody-head" when we're discussing God's word. Keep the comments and replies on the same level as was offered: scripture and kindness. Hum, interesting. But it's hard to not look at the NEW Testament and see multiple verses talking about the Love of Christ for sinners. Romans 5:8 "But God commendeth his love toward us, in that, while we WERE yet sinners, Christ died for us." Also John 3:16 and so on. When we are outside of Christ (lost, not saved) we are the "enemies of God." If God didn't love sinners, He would never have sent His son to be the "propitiation" or substitute for our sin (1 John 2:2). Believing that God hates SIN yet LOVES the sinner is not a watered down Gospel by any means. It is the incredible love of God that brings about true repentance (salvation) and creates a fervor to serve Him out of love. 1 John 4:19 "We love him, because he first loved us." I'm so glad Jesus made Himself a friend of sinners...but He never condoned the sin - "go and sin no more." May we have that same Christ-like love for sinners and plead with them to turn to Jesus and be healed. God bless you as you write this blog for His glory! I agree with what you say and the verses you shared. Thanks for verses, by the way. I'm bold in saying God hates sinners so as to avoid the cliche that "God loves sinners but hates sin." It is unwise to separate the two. Is it true to say we should love the sinner and hate the sin? 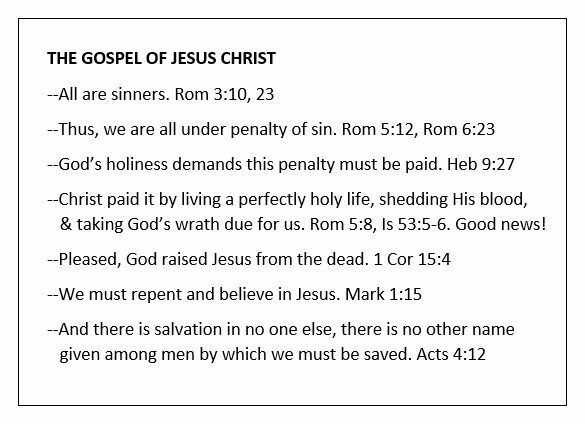 5:6-11 Christ died for sinners; not only such as were useless, but such as were guilty and hateful; such that their everlasting destruction would be to the glory of God's justice. Christ died to save us, not in our sins, but from our sins; and we were yet sinners when he died for us. Nay, the carnal mind is not only an enemy to God, but enmity itself, chap. 8:7; Col 1:21. But God designed to deliver from sin, and to work a great change. While the sinful state continues, God loathes the sinner, and the sinner loathes God, Zec 11:8. And that for such as these Christ should die, is a mystery; no other such an instance of love is known, so that it may well be the employment of eternity to adore and wonder at it. Again; what idea had the apostle when he supposed the case of some one dying for a righteous man? And yet he only put it as a thing that might be. Was it not the undergoing this suffering, that the person intended to be benefitted might be released therefrom? But from what are believers in Christ released by his death? Not from bodily death; for that they all do and must endure. The evil, from which the deliverance could be effected only in this astonishing manner, must be more dreadful than natural death. There is no evil, to which the argument can be applied, except that which the apostle actually affirms, sin, and wrath, the punishment of sin, determined by the unerring justice of God. And if, by Divine grace, they were thus brought to repent, and to believe in Christ, and thus were justified by the price of his bloodshedding, and by faith in that atonement, much more through Him who died for them and rose again, would they be kept from falling under the power of sin and Satan, or departing finally from him. The living Lord of all, will complete the purpose of his dying love, by saving all true believers to the uttermost. Having such a pledge of salvation in the love of God through Christ, the apostle declared that believers not only rejoiced in the hope of heaven, and even in their tribulations for Christ's sake, but they gloried in God also, as their unchangeable Friend and all-sufficient Portion, through Christ only. 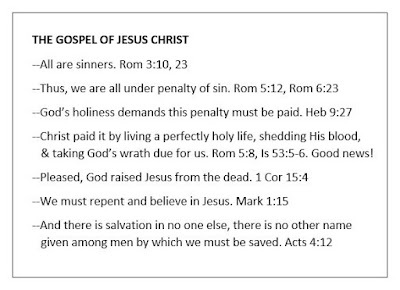 How about God hates UNREPENTANT sinners? Just asking. Does god hate sinners because it means that when we sin that we are showing that we do not love god? I don't know for sure, but you seem to be getting very close to the nut of the problem. Question: "Does God hate? If God is love, how can He hate?"